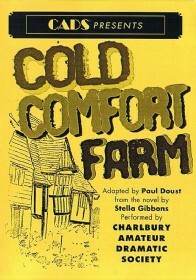 Cold Comfort Farm is a play adapted from Stella Gibbons’ hugely popular comic novel, a best seller since it was written in 1932. Flora Poste, a level-headed, well-brought up orphan, comes to live with her relations at the crumbling, doom-laden farm. They all have over-heated emotional problems, especially Aunt Ada who once saw ‘something nasty in the woodshed’ and rules the household with a vice-like grip. 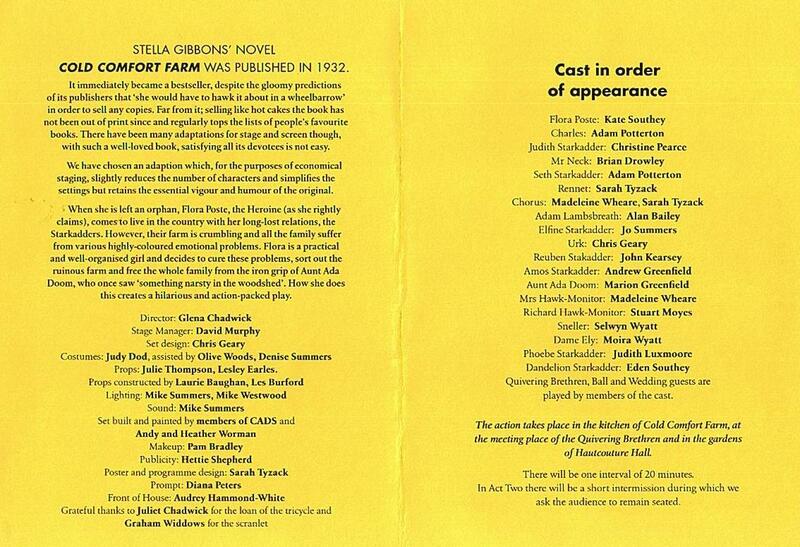 Flora sets out to bring them and the farm into the twentieth century with hilarious results. 80 Photos. Click thumbnail images to enlarge.